-The Body Shop Spiced Vanilla Body Scrub - Delicious smell, vanilla and chocolatey to me with big scrubbing beads, makes a mess in your bath but you smell like it for ages! -LUSH Ocean Salt Face Scrub - An OK face scrub but I am using better (The Body Shop Seaweed Facial Scrub). -Clarins Multi Active Day Cream - The best day cream I have used, this is for early wrinkle prevention (I'm 23 and wrinkle free so far and want it to stay this way) I noticed my skin is a lot smother using this. - Timotei Intensive Repair Shampoo - An OK shampoo I didn't feel it made any difference to my hair. - Aussie Take The Heat Conditioner - Again I didn't feel it made any difference to my hair but I do like the Aussie range. -Bastiste Dry Shampoo - LOVE this stuff, who doesn't?! 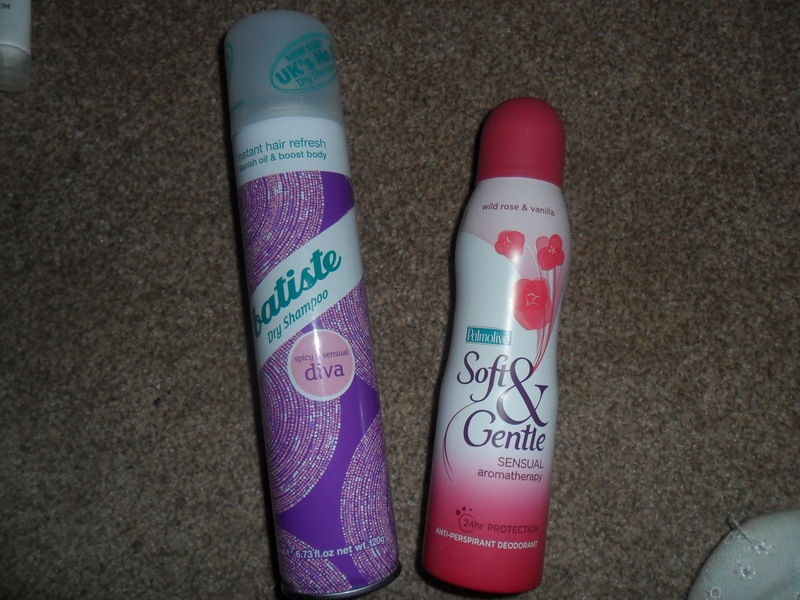 -Palmolive Soft & Gentle Aromatherapy Deodorant - The best deodorant I have ever used, smells amazing and lasts all day! - Tropic Body Scrub (from the October Boudoir Prive Box) - Gorgeous product that leaves skin extremely moisturised. - Soap & Glory Flake Away - Again gorgeous scrub leaving skin moisturised with an amazing smell, I have been and bought the full sized tub! - Ceteum Gold Illuminating Mask (from the October Boudoir Prive box) - Great product, left my skin very smooth. - Vinies Luminous Skin Mask (from the November Boudoir Prive box) - This burns your face for about 30mins after you have used it but the results are really nice, my skin felt amazing afterwards. - Garnier BB Cream - Love his product I have been and bought out the full sized product. - Nicky Clarke Shampoo & Conditioner Sample - Wasn't overly impressed the shampoo didn't lather very well at all. - Rahua Shampoo & Conditioner Sample (from the November Boudoir Prive box) - I moaned about these being sachets but I LOVE LOVE LOVE the product, may hair felt amazing after using it so I have been swapping on the Facebook page Beauty Box Swaps for as many samples as possible of these!!! The Clarins cream really does work, and if like peter pan (and me) you never want to grow old use this stuff, it smooths out the skin and soaks in really nicely!! 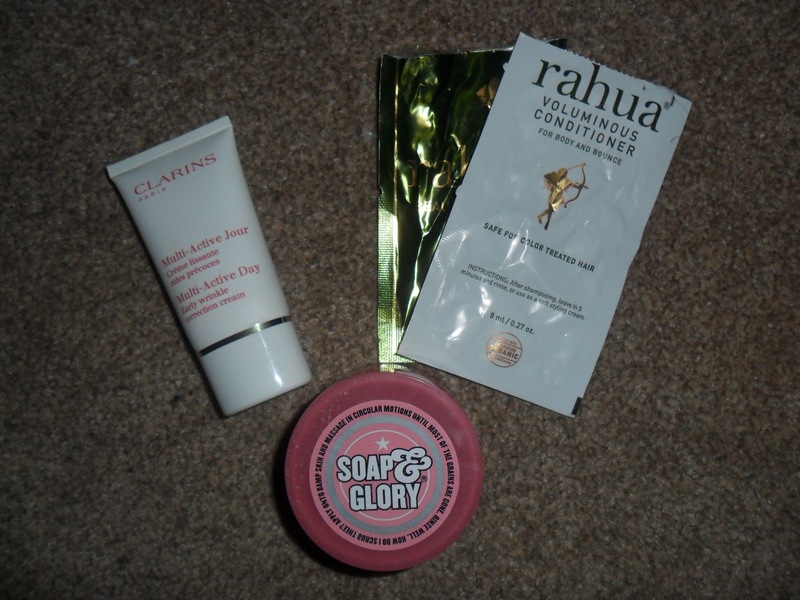 The Soap & Glory smells so delicious and you can smell it for ages after using it which is wonderful and I cannot speak highly enough of the Rahua shampoo & conditioner, but can I part with over £50 for both of the bottles - dilemma! These 2 products you would ALWAYS see in my bathroom, I couldn't live without them! What are your MUST HAVE and always DO HAVE products? haha!! I am the same, love being nosey!! 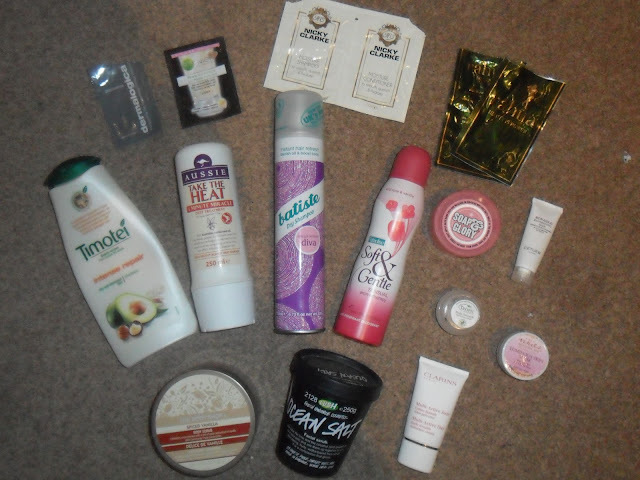 I need to stop buying body products I have tons, so hopefully doing these 'empties' posts will MAKE me use them! 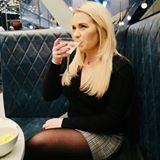 Hello, I have been reading your blog for a while now and I just wanted to say that I really enjoy reading it! This may sound weird and rude so Im sorry but I really don't know how you like that soft & gentle deodourant. Personally I hate it and the smell but I guess it's all down to what individgual people like! Thankyou so much for reading, it really means alot but....how can you not like that deoderant :O shocking! !hehe *jokes* thanks for leaving me your blog link I love reading new blogs.